﻿ Black Dragon Inn, Phuket | FROM $34 - SAVE ON AGODA! Have a question for Black Dragon Inn? 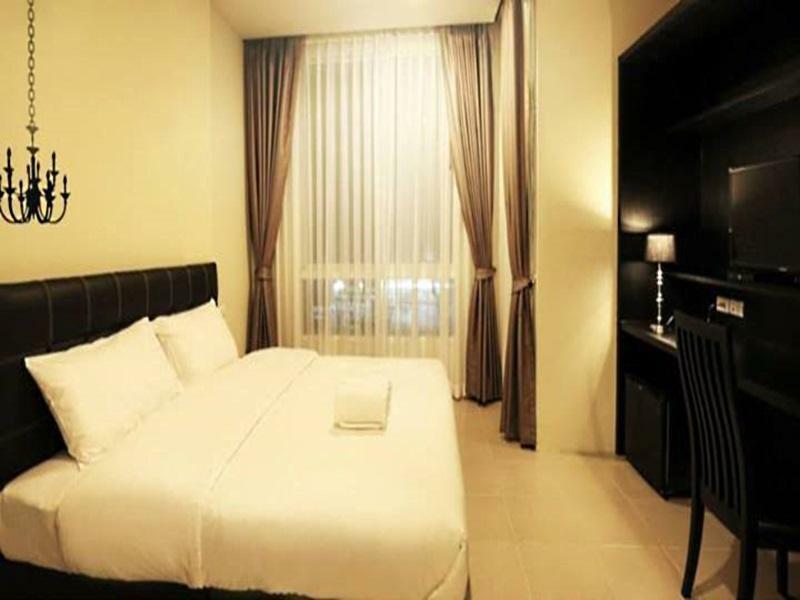 Black Dragon Inn Guesthouse, located in Chalong, Phuket, is a popular choice for travelers. From here, guests can enjoy easy access to all that the lively city has to offer. With its convenient location, the hotel offers easy access to the city's must-see destinations. The facilities and services provided by Black Dragon Inn Guesthouse ensure a pleasant stay for guests. While lodging at this wonderful property, guests can enjoy free Wi-Fi in all rooms, 24-hour front desk, luggage storage, Wi-Fi in public areas, car park. 18 rooms spread over 4 floors provide a warm and pleasant home away from home. Modern comforts such as television LCD/plasma screen, internet access – wireless (complimentary), non smoking rooms, air conditioning, wake-up service can be found in selected rooms. Besides, the hotel's host of recreational offerings ensures you have plenty to do during your stay. Whatever your reason for visiting Phuket, the Black Dragon Inn Guesthouse is the perfect venue for an exhilarating and exciting break away. "Close to the pier and also enough to do on the street, food,..."
I stayed there for 2 nights and had really tough time trying to get some sleep both of them. It's clean and has all the facilities needed however its awfully loud from all the traffic on the street and the karaoke bar which is right across the street. good stay with friendly staff. Close to the pier and also enough to do on the street, food, bars, pampering etc. Only disappointing thing was that there was no kettlw or microwave in room. five nights without asking for towel change, just putting 2 bootles of drinking water infront the room daily. Aircon like limited the tempurature. 18c showing in remote control is 26c real room tem. Entre le bruit de la rue et des gens dans le couloir nous n avons pas beaucoup dormi... Lorsque nous sommes arrivé a 18h personne a l accueil... et parti 7h30 personne également nous avons du trouver un taxi seul. Sinon l hotel est récent et assez joli. 다이빙 때문에 피어 근처 가성비 괜찮은 숙소를 찾았는데 생각보다 깔끔하고 좋았습니다. 피어와의 접근성도 좋고 근처에 홈프로 등의 편의시설이 갖추어 있어 위치상으로는 최고입니다. 새로 지은 건물이라 그런지 깔끔했고 아주머니와 아저씨는 매우 친절하셨습니다. 다이빙 때문에 타월이 많이 필요했는데 달라고 하면 주셨고요. 물도 매일 인원수만큼 줬습니다. 에어컨 빵빵하고 침대 편했고요. 한가지 불편했던 점은 가파른 계단이었는데 그정도는 감수할만 하지요. 담에 또 다이빙 하러 푸켓에 가게 된다면 다시 묵고픈 숙소입니다.